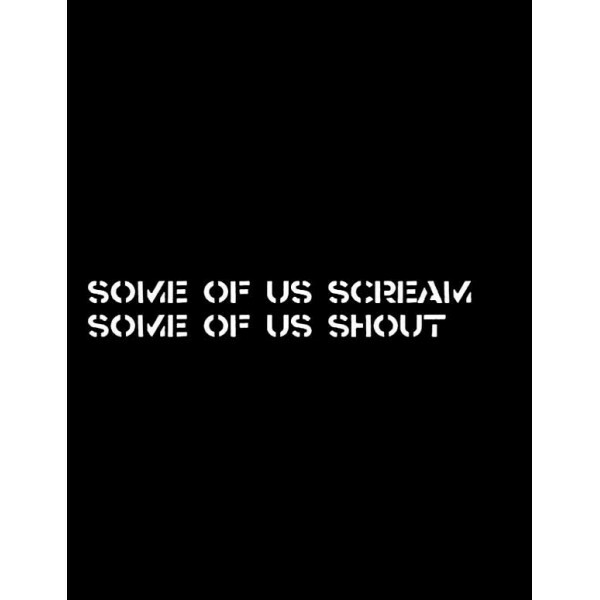 Some of Us Scream, Some of Us Shout: Myths, Folklore and Epic Tales of the Anarcho Punk scene. This is another A4 ppaerback book full of artwork and text. Many rare and original flyers are reproduced here and many an incicive thought is written by those from the time of the anarcho punk era in the form of flyers and now in the form of column inches. Unfortunately many of the original flyers are in places difficult to decipher but most are understandable and indeed as good a quality as the originals were likely to be. I have my own flyers from the time and many were a trial to read only because of the blurred minute printing. It has been a long time intention here at Active to reprint some classic anarcho punk flyers but one thing that has delayed us doing so has been the time it took transcribing them. The layout of this book is clear and simple and monotone in keeping with the era. Not much of the adobe photoshop here. I found it a simple pleasure flicking through checking off which flyers I have either got hidden away or have seen before and marvelling at the ones I haven't. I shall enjoy trying to read the unread ones and see what feelings they stir. The book stirs many memories of gigs gone to, demos attended and records devoured. Sadly if also reminds me of friends lost. Lance Hahn's s review of an Antisect gig reminded me more of his bright spirit than Antisects dark one. the book is part dedciated to Paco of Conflict, IT always a friendly voice on the phone and face at a gig. Often mentioned is the great Vi subversa of the Poison Girls who passed on in the week this book finally arrived. She was a great inspiration as variious authors note. This is the second print run of this book, this one paid for by Active and done so with a UK digital printer not Amazon's Creativespace.